Furnitubes International Ltd, a leading supplier of park and street furniture, welcomes 2016 as its 70th year in business. The company was started in 1946 by Jack Cluer and is still owned by the Cluer family. The key foundations remain in place to this day, as the company was built on a sensible alliance of traditional process and contemporary thought, values which continue to drive the company forward. Over the last 70 years, Furnitubes has evolved and adapted to suit market needs, and this evolution has ensured the company continues to operate as one of the UK’s leading street furniture suppliers. 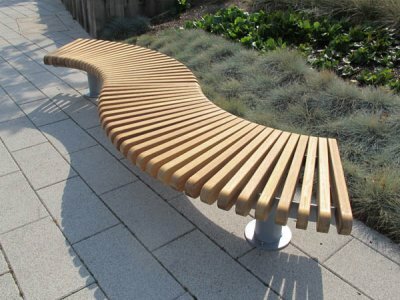 With a long and proud history of providing public seating, bollards, signage, litter bins and other products, Furnitubes offers a full suite of street furniture solutions. Throughout the company’s history, Furnitubes has introduced numerous famous products to the market, including the early “Tulip” timber slatted litter baskets, unique “Bell” bollards, “Linx” railings, and “Zenith” seating, regularly launching innovative new products through the decades. New product development has been a constant, with Furnitubes also pushing the boundaries in terms of materials and usability. The last decade has seen the organisation increase its focus on product and concept design, taking huge strides in improving capabilities in this area. Recent years have seen unprecedented growth in design work, partly through the development of stronger relationships with key clients and a growing involvement in bespoke work. The company continues to follow this path, regularly introducing its own designs for new products and street furniture ranges, including the popular new RailRoad modular seating collection in 2015. 2016 promises more exciting new developments, with a variety of new products and interesting projects already in the pipeline. To celebrate the company’s 70 years in business, Furnitubes is launching a new logo and corporate identity, designed to represent what the company stands for in today’s market. The shapes within the logo imagery represent steel tubes, like those originally used by Jack Cluer when the company was founded. The modern and contemporary design also reflects the key design principles of the company. Look out for exciting news in the coming weeks and months as we highlight some key clients, projects and innovative new products.